Θήκη Flip Fancy Diary Goospery Samsung T210 Galaxy Tab 3 7.0 Φούξια-ΜπλεStylize, customiz..
Stylize, customize, personalize and also protect your device, giving it a new look with this Flip Di.. Protect your Samsung Galaxy Tab 2 7’’ from scratches, dirt and dust with this functional case. Speci..
Universal inos Case for Tablets 8'' Book with Keybord Micro USB in black color. Pr.. 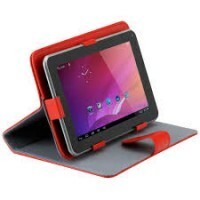 Protect your Tablet PC from scratches, dirt and dust with this Universal Case for Tablets up to..